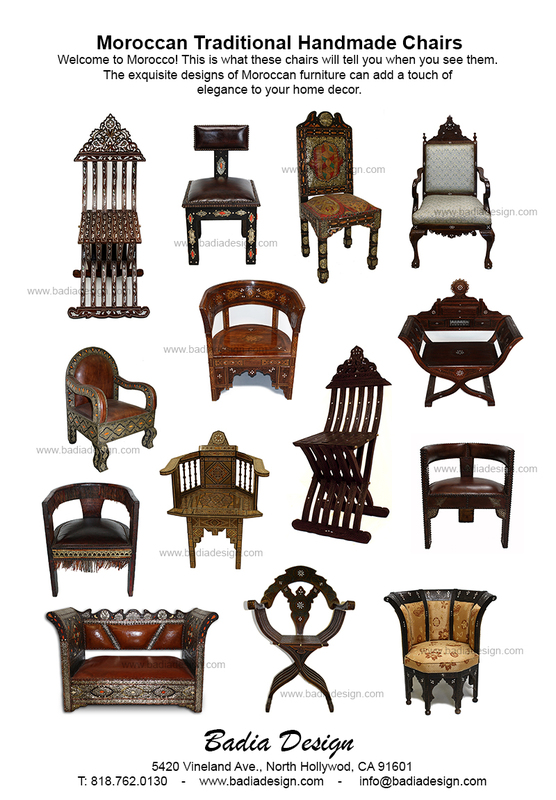 At Badia Design, you’ll find the largest selection of exotic Moroccan Chairs for your home or office. Please stop by our warehouse, were located at 5420 Vineland Ave., North Hollywood, CA 91601. http://www.badiadesign.com. Were open Monday – Saturday from 10:00AM -6:00PM. This entry was posted in Moroccan Home Furniture and tagged badia design, celebrities, design, entertainment, exotic chair, exotic design chair, moroccan chair, moroccan design chair, moroccan furniture, morocco chair, syrian chair, transportation, travel, vacation. Bookmark the permalink.